Companies embracing digital marketing are realizing impressive benefits. 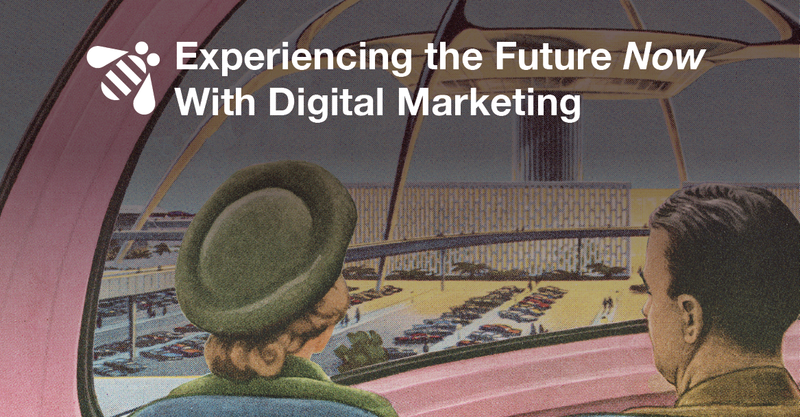 The future has already arrived and forward-thinking companies embracing digital marketing are realizing impressive benefits compared to competitors that are behind the curve. Companies with advanced abilities to analyze customer journeys are experiencing significantly higher conversion rates, and levels of customer satisfaction that are 27 percent higher. At the same time, brands that also demonstrate solid know-how in analyzing points where customers struggle online have customer satisfaction levels that are twice as high – 54 percent. And with brands competing more and more on the basis of exceptional customer experiences, who doesn’t want increases in customer satisfaction? Companies that added sophisticated insight automation to their customer journey analytics, and ‘struggle analytics’ capabilities are experiencing nearly 20 percent higher revenue growth than rivals who have not deployed these marketing technologies or developed the skill sets required to fully leverage them. Rapid technological advancements have brought about an explosion in digital evolution that requires marketers to form new strategies to attain the competitive advantages digital transformation affords. During times of rapid change, it takes bold leadership to step up and try new things – the skills that brought a brand success aren’t the skills that will lead to a brand’s long-term success. While marketers can’t see around corners, they need to leave the status quo behind and position their organization to anticipate what lies ahead. 20 years ago, no one thought cellular phones would be primary points of engagement for consumers like they are today. However, when a trend starts becoming the norm, that should prompt marketers to start experimenting with innovative ways to deliver outstanding customer experiences. Smart watches, connected devices, and other technology-enabled wearables will present marketers with opportunities for personalized engagement with consumers across these digital channels. Since 76 percent of consumers expect organizations to understand their individual needs, digital marketing will enable brands to engage with customers across emerging new touch points to provide quick, unique experiences. Technology is making it easier for digital marketers to identify individuals. Wearables present cool opportunities for brands to demonstrate they truly understand individual’s specific wants and needs. While it may not be as enthralling as wearables, email is the channel that generates the highest ROI for marketers – nearly 40 dollars for every 1 dollar spent. According to McKinsey & Company, email is nearly 40 times more effective for customer acquisition than Facebook and Twitter combined. McKinsey explains this effectiveness is because over 90 percent of all consumers in the United States still use email on a daily basis. Yes, email is still alive and quite well. Mobile devices accounted for 8% of email opens in 2011, compared to 55% of opens on mobile devices in 2015, and that trend isn’t letting up. Approximately one-third of consumers now read their email exclusively on mobile devices. Digital marketers need to leverage the proliferation of email usage on smartphones to provide relevance. The IBM Marketing Cloud is great for delivering exceptional customer experiences with personalized email and mobile campaigns. Companies should think of all components of digital marketing campaigns as part of a continuous learning process to better understand individual consumers. The data that’s captured needs to be shared across the organization because information about customers frequently resides in different departments within organizations and needs to be aggregated to construct a 360° view of each customer. Companies making the transformations required to fully leverage digital marketing are evolving to experience the future now!